One of the most elegant and dramatic iris we've found. 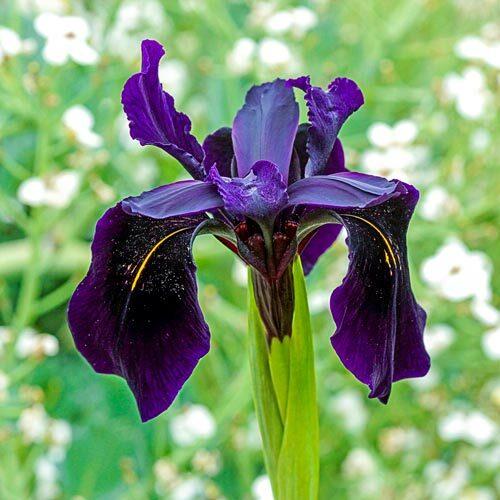 This black iris is a beardless variety with very deep violet, near-black, blooms with pronounced golden veins. A low-maintenance perennial, it adds elegance and drama to the late spring and early summer garden as well as fresh floral arrangements. Its flat, linear foliage is an attractive gray-green hue. 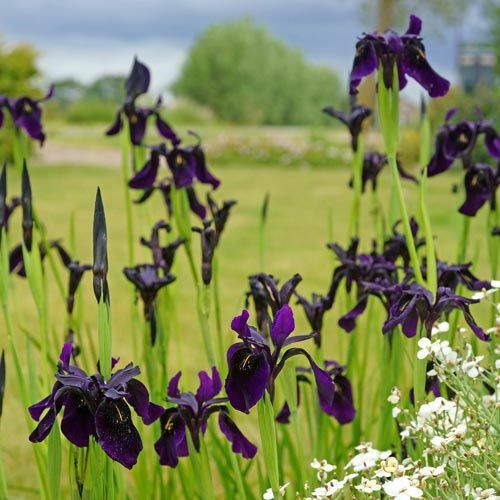 For a dramatic effect, plant this black iris near light or white perennials. This iris grows best in sunny to partially shaded areas that are well-drained and moist. For generations, iris have been loved for their outstanding flowers and easy elegance. 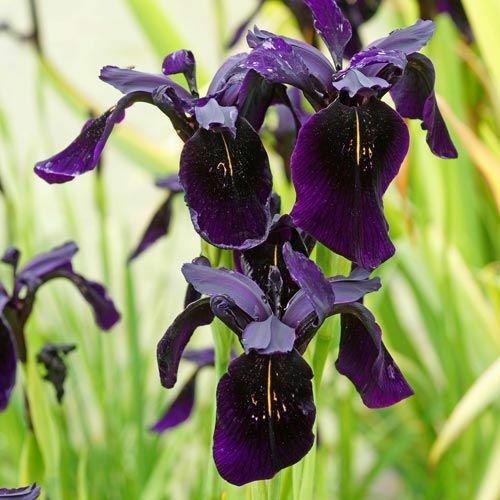 This black iris is no exception. Foliage TypeFlat linear, gray-green leaves 20" long. Flower FormBeardless iris bloom with the falls marked with golden veins. 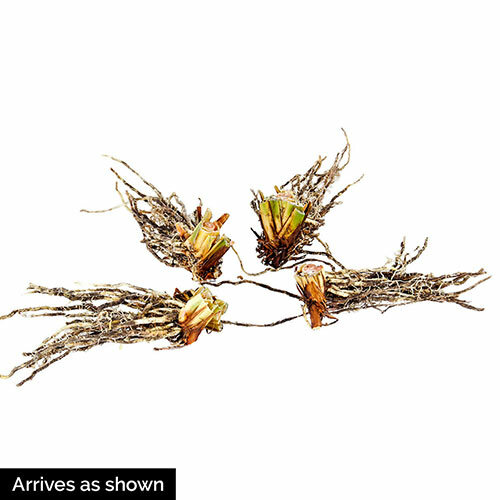 Planting InstructionsPlant rhizomes just below soil surface and mulch shallowly in spring.